Anyone making a full time income with their website? I'm selling across multiple platforms at this moment and making more than I used to at my day job. Started my own website for about a year and still struggling with traffic. I want to know if there is any one successful with their own thing and give me some advice on how to drive traffic. Re: Anyone making a full time income with their website? Where does your main source of traffic come from? I know SEO is the king but it takes time to build. I'm low on capital and don't have much to put in google adwords. Been using long tail keywords but they are just pulling in traffic and don't convert. Been posting on all of the social media above but one man band's time is limited. Are you really from Thailand? Many automation tools exists for all those platforms. Posting only will not bring too much traffic, you can also run ads, drive your ebay customers to your fb page, interact with potential customers, subscribe to groups in your niche, etc ..
Any automation tool you can recommend? I can't find one that works with Instagram as you will have to pull the post button manually. I'm including a business card with coupon code on all of my ebay orders and posting on facebook groups in my niche. Anything I have left out? Been running Facebook ads a few times but none of them convert. Interesing... I have the same issue with facebook ads. Adwords was once good but at this time also low conversion rate and expensive. Social media seems to be the thing we should be doing. 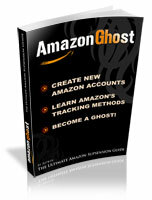 Before you ask: yes, Thailand, yes i live from my online shop, but getting some extra $$ from AMZ and eBay Stealth. Forgot to mention I have my online shop for more than 10 years now. This is my own opinion, but I think social media, and particulary fb should not be used to sell directly. I build my reputation with social media, what you do with your busiess card is nice, but you should do it also in the other way, don't think only about selling. On the business card, I would add my facebook page ,and tell them they could get a discount coupon code by leaving a review there , or if they like and follow your page. If you are too busy to do the work on all social media, then use them to drive people to your facebook page, and make your page excellent.